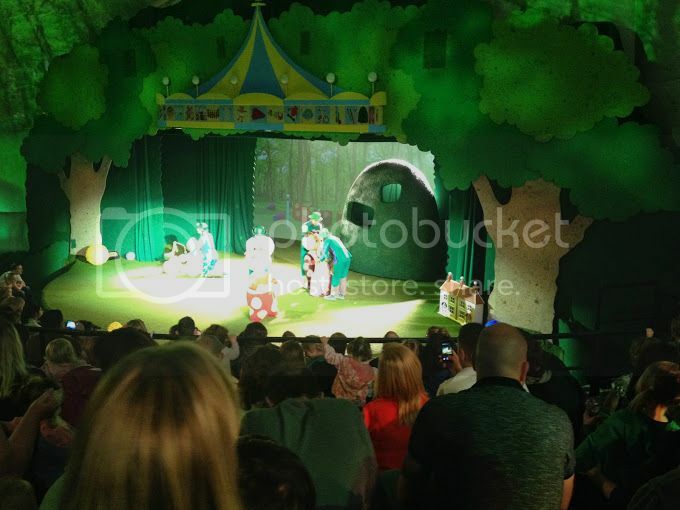 A couple of weeks ago I took middle and little man to In The Night Garden Live. I wasn't sure if it was a good idea as neither watch the TV show. Middle man is too big for it and little man gets made to watch Spongebob as that's what his brother's like. He has read the books though and enjoys these. I had also intended to only take little man but as the dates worked out, middle man came too. At £19.50 a ticket (no reduction for children, and a baby over 6 months needs a ticket) it is not cheap. However, we had taken the boys a couple of years ago so I knew it was a lovely show. 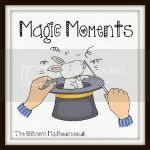 If you are thinking of going, sign up to their newsletter as they will send a discount to you. It's only 5% but it's better than nothing. I booked tickets a couple of days before (just incase the kids got ill) and most dates had availability. As it is first come, first served basis for seating, it doesn't matter if you book tickets late. I didn't feel the extra cost for premium seating was necessary (these are the first 4 rows) All standard seats are a good view. You can book to see Iggle Piggle and Upsy Daisy after the show, at a cost of £15 a character. Again I couldn't justify this cost. We went to the Old Deer Park venue in Richmond. There is a car park directly opposite the show dome. As you enter the giant inflatable done there are pretty lanterns hanging from the ceiling. As you are waiting for the performance to start, there are projections to keep your little one (and you) amused. The show is really well done, using a mix of projection, puppets and characters. We saw the Pinky Ponk Show. The story is basic and Makka Pakka washes faces. The character Makka Pakka came out to wash the Pontipines faces but the puppet came out to wash Iggle Piggle's. I liked this as it always made him the right size! The show is noisy because small children can sit still or keep quiet but it doesn't distract from the performance. I was actually shocked at how much middle man enjoyed it. I guess that as it is theatre it takes an older child to appreciate it more. The show is really nicely done and at 40 minutes it is just the right length for a young audience. So in the end I was pleased that I took the boys as they both enjoyed it. The only sad thing is that it will probably be the last time as they are growing up so fast. oh wow Louise this looks like a fantastic place to visit .. my little guy would love it!